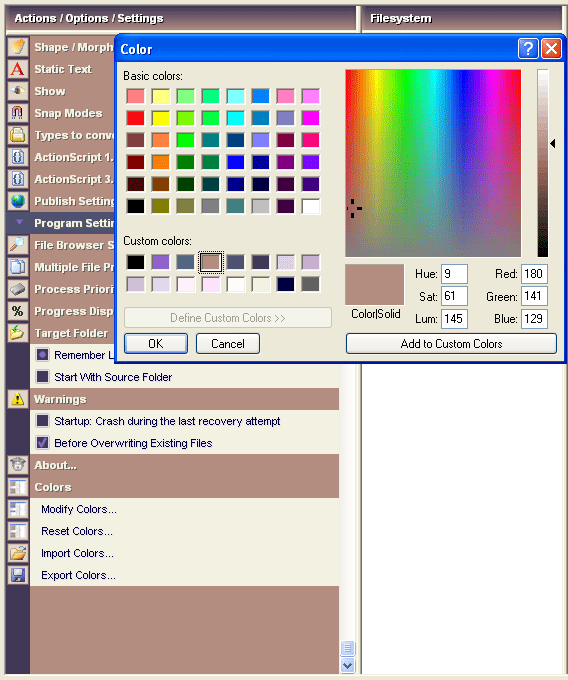 After Modify Colors... has been clicked, the windows color control panel will open. You'll find the 16 currently used colors under "Custom Colors:". If you want to change a color, click on it under "Custom Colors:" so you can modify it using the right side of the windows color control panel. To add the modified color back to the Program Colors, click on "Add to Custom Colors".